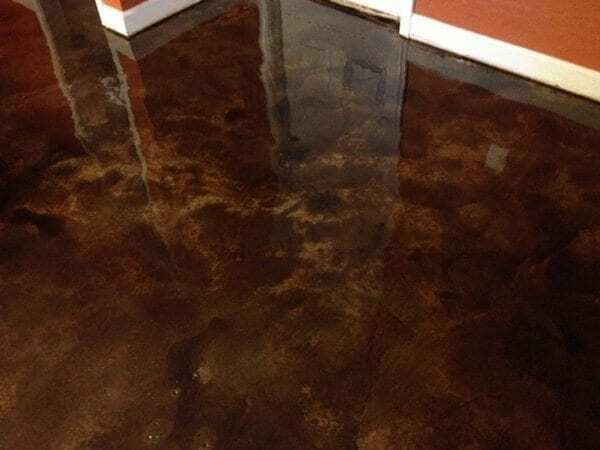 This brown and tan stained concrete floor creates a really natural polished stone look and feel for this residence. 750 SF Basement Floor. 2:1 Espresso EcoStain over Safari Tan straight.